Octavia, the Oct Heart of the Brand yer in Skoda, turned 60. Produced for the first time in 1959, the legendary Octavia continues to successfully represent the brand today. Octavia, the brand's best-selling model, continues to be the favorite of everyone, from families to fleet companies, with its comfortable ride, wide interior volume, durability and efficient engines. It also stands out as the choice of young and passionate drivers with the RS model. Octavia, which means tı eighth. In Latin, had taken this name after the Second World War when it was the 8th model produced by the brand. The first Octavia in Skoda's main factory, Mlada Boleslav, came off the belt in 1959, and was a rear-wheel drive model with a 40-hp, four-cylinder 1.1-liter engine. He was acclaimed for his impressive and smooth driving style. A short time later, Skoda introduced the 45 HP-producing Octavia Super, and at the 1960 Geneva Motor Show, the sporty 50-HP Skoda Octavia Touring Sport. Then this car took part in the races and won three consecutive victories in the famous Monte Carlo Rally. The Octavia Combi was one of the models introduced in the 1960s and provided high practicality with its innovative two-piece tailgate. The first generation Octavia model of the modern era was introduced in 1992. Octavia's success was first in the second-generation model, while the third-generation Octavia was launched in 2014. Completely renewed in 2017, Octavia achieved more than 2.5 million units. 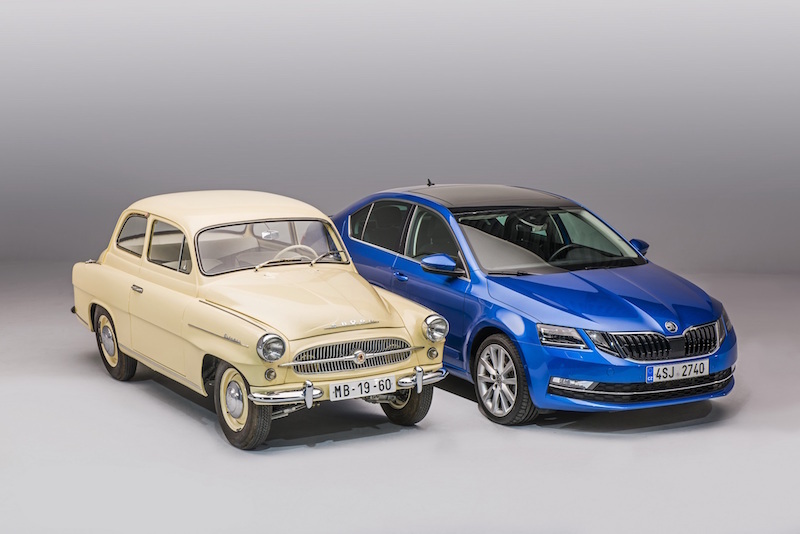 Skoda, since 1959, 6.5 million from the sale of the Octavia took place. Octavia, which has been sold for a long time in many markets, is produced in Mlada Boleslav as well as in China, India, Kazakhstan and Algeria.